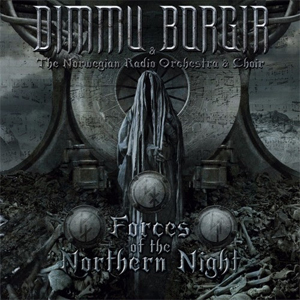 On April 28th, Norwegian symphonic black metal giants, DIMMU BORGIR, will unleash their double-DVD Forces Of The Northern Night upon mankind. On this brand new release you can witness two different live shows: The legendary concert in Oslo, showing DIMMU BORGIR on stage with the Norwegian Radio Orchestra and a bombastic choir, as well as the entire performance at Wacken Open Air with almost 100 musicians in action. These monumental live rituals mark the beginning of the band's epic return planned for 2017. Watch the first trailer for below and take a look behind the scenes of this ambitious orchestra production on the Nuclear Bast YouTube channel! "A Jewel Traced Through Coal"
Get the physical formats of Forces Of The Northern Night HERE.